I was the first one to cast my vote. We had gone, en famille. My mother was next. Rini, my sister-in-law and Saif, my brother, had taken their precious national ID cards with them, only to be told by polling centre officials that these were not needed, that they should go to the stalls opened by political parties outside the polling centre grounds to get their voter registration number. That updated and complete voter lists were to be found there. Rini was astounded and kept repeating, even after she had cast her vote, `But it is the national Election Commission that registered me as a voter, I didn’t register with any political party’. Someone else’s photo, name, and father’s name graced the space where Saif’s should have been. After a lot of running around and long hours of waiting, he gave up. It was close to four, the polling booths were closing. He was dismayed, and perturbed. A landslide victory for the Grand Alliance and its major partner, the Awami League. As the results emerged through the night, I remained glued to the TV screen, hopping from one channel to another, listening to election reporting, news analysis, and discussions. As votes in favour of Abul Maal Abdul Muhit tipped the scales, I watched seasoned journalists debate over whether political superstition — whichever party candidate wins Sylhet-1 forms the government — would prove to be true. And it did, yet again. The BNP candidate, ex-finance minister Saifur Rahman lost to Abdul Muhit by over 38,000 votes. In the early hours of the morning, as AL’s massive victory became apparent, I watched Nurul Kabir voice strong words of caution on one of the election update programmes on a private channel: given the rout of the opposition, the biggest challenge for the incoming Awami League government would be to not lose its head. Words to be repeated by others, later. Sheikh Hasina herself, in the first press conference, pronounced it to be a victory for democracy. A victory for the nation. People had voted against misrule and corruption, against terrorism and criminal activities, and against fundamentalism. They had voted for good governance, for peace, and secularism. Poverty, she said, was enemy number one. Expressing her wish to share power with the opposition, Sheikh Hasina urged ex-Prime Minister Khaleda Zia to accept the poll results. Our government, she said, will be a government for all. It will initiate a new political culture, one that shuns the politics of confrontation. Congratulations poured in, in both the print and electronic media. A new sun had risen over the political horizon. December 29th were the best elections ever, kudos to the Election Commission. Awami League’s charter for change was a charter for the nation. It was a charter that had enabled the nation to dream again. To wake up again. A historic revolution — a ballot box revolution — had taken place. Let 2009 herald new political beginnings for Bangladesh. Let darkness be banished, let peace and happiness engulf each home. Let insecurities and turmoil be tales of yester-years. Let us, as a nation, build our own destiny. I turned to analysts who sought to explain the victory. What had brought it about, what did it signal? It was the younger voters, a whole new generation of voters. It was women voters. It was the Jamaat-isation of the BNP, and that the anti-India vote bank, the Muslim vote bank, were now proven to be myths. Khaleda Zia’s pre-election apology had not been enough, people had not forgiven the four-party alliance government’s misrule, and its excesses. The BNP party organisation at the grassroots level had failed to perform their duties with diligence, during the election campaign, and also later, when votes were being counted. The spirit of 1971 had returned, thanks to the Sector Commanders Forum, and to writers, cultural activists, intellectuals, media. 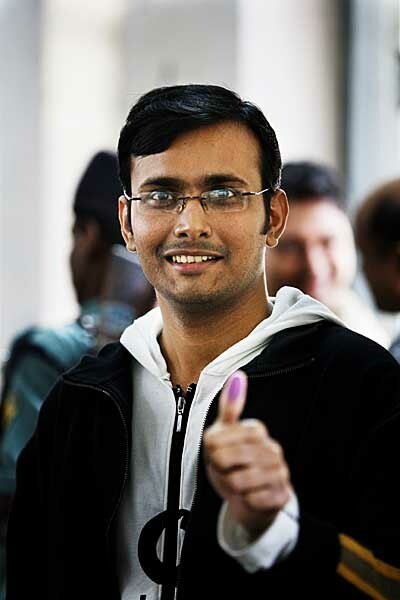 People had cast their votes for a separation between state and religion, for the trial of war criminals, for re-building a non-communal Bangladesh. I watched Tazreena Sajjad on television argue that we should not go into a reactive mode, that we should not pre-judge that the AL, since it had gained victory, would now forget the war crimes trial issue. It was important, she said, that war crimes trials be adopted as a policy approach, that the government review the available expertise, the institutional infrastructure, and witnesses needed etc. It was important, added Shameem Reza, another panelist on the programme, that the social pressure for holding the trials should continue unabated. At a record 87 per cent, the voter turnout was the biggest ever. International poll monitoring groups, including Washingtonbased National Democratic Institute, Commonwealth Observer Group, Asian Network for Free Elections, an EU delegation and a host of foreign observers, unanimously termed the polls free and fair, the election results as being credible. There was no evidence of ‘unprecedented rigging,’ or of the polls having been conducted according to a ‘blueprint’. But, of course, observers maintained, ex-Prime Minister Khaleda Zia’s allegations should be carefully investigated. At a press conference, the leader of the 33 member NDI delegation, Howard B Schaffer, also an ex-US ambassador to Bangladesh, said that these elections provide Bangladesh an opportunity to nourish and consolidate democracy. As I read reports of the press conference, I think, neither the US administration, nor its ruling classes are known for nourishing and consolidating democracy. The NDI delegation had also included a former USAID official, an organisation that is known for promoting US corporate interests, rather than democracy. Most of USAID’s activities are, as many are probably aware, concentrated in Middle Eastern countries. Many Arabs regard US foreign aid as ‘bribe money’, offered to governments willing to overlook Israel’s policies of occupation. Larry Garber had served as Director of USAID’s West Bank and Gaza Mission from 1999-2004, a period that was partially preceded by four years (1996-200) of USAID withholding $17 million in assistance for a programme to modernise and reform the Palestinian judiciary. The Israelis did not want an independent judiciary. They were afraid it would lead to a sovereign Palestinian state. USAID obliged. And of course, there are other, much worse, US administration stories of felling rather than nurturing democracy. After Hamas won a majority of seats in the Palestinian legislature in January 2006, the Bush administration had embarked on a secret project for the armed overthrow of the Islamist government. A ‘smooth transition’: impunity in the offing? How can something as grave, as sinister as the takeover of power by a coterie of people who were backed by the military, a government that was unelected and unaccountable, the suspension of ‘inalienable’ fundamental rights of the people during a 23 month long period of emergency, the abuse of the judiciary, the intimidation of the media by military intelligence agencies, illegal arrests leading to already bursting-at-the-seams prisons, custodial tortures, crossfire deaths, the destruction of means of livelihood of countless subsistence workers, the closure of mills, the havoc wreaked on the economy — be referred to as a bunch of ordinances that need to be discussed and separately reviewed, maybe some of these are to be accepted, others not? The separation of religion and politics subsumes the issue of the trial of 1971 war criminals, the local collaborators, the rajakars. But as I watch AL parliamentarians talk on TV channels, I notice a linguistic elision, a seepage occur into discussions of the trials of war criminals. The present is carried over into the past, the past slips into the present. Those who had collaborated in the Pakistan army’s genocide take on Bush-ian overtones: rajakars are religious extremists are Islamic militants are ‘terrorists.’ A seamless whole seems to be in the making. And, as I read of Sheikh Hasina’s support for the US war on terror (expressed to the US Assistant Secretary of State for South Asia, Richard Boucher, 25th of July 2008), and her more recent pledge to work for the formation of a joint anti-terrorism taskforce by SAARC countries, I wonder whether ‘the spirit of 1971’ will be cashed-in to manufacture support for the US-led war on terror, one that has killed millions, and made homeless several more. All in the name of democracy. Thank you for this…As a CPA Im very fond of this reading….